Do you need a new practice round for your .380 Auto pocket or carry pistol? Sellier and Bellot offers an excellent training round at an affordable price and has been a top choice of shooters for many years. Sellier and Bellot since 1825 has been a producer of high-quality ammunition and maintains a reputation for reliability and innovation. Whether you’re from the military, law enforcement, a casual shooter or Hunter, Sellier and Bellot make a round to suit the situation. 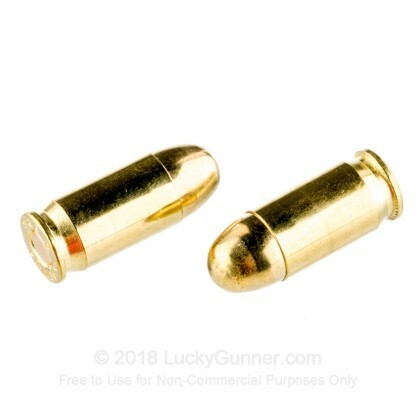 These .380 Auto rounds feature a 92-grain full metal jacket bullet, loaded into boxer primed, noncorrosive reloadable brass cases. These rounds are capable of a muzzle velocity of 955 FPS and are an ideal choice for plinking and practicing at the range. 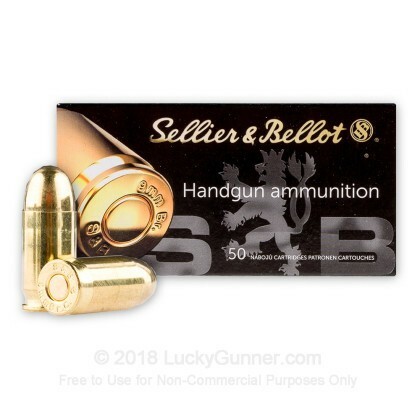 Each box of Sellier and Bellot .380 comes with 50 rounds. No misfires out of 100, and fairly clean ammo. I would buy more. This ammo is junk. I had 10 failures to fire out of 50 its cheap enough but not reliable. I would never buy it again. Promp service and constant attention made a new customer out of me. Keep the prices effordable. bought a box and i am not kidding when i say half would dent primer but no bang. junk, even for range ammo. i put reloads in after this junk and bang everytime. dont waste your time. The S&B .380 ammo is the ONLY round that comes close to working in my Taurus TCP, but ONLY the S&B with the red splash across the primer. All other brands jam 3-5 times per mag of 6 (AFTER Taurus has worked on the thing twice). Used the S&B .380 in a Ruger LCP. New gun and new magazines. Ran about 50rds, with failures to extract 2-4 times per 6 rd magazine. Swapped to Federal American Eagle for several magazines - 100% perfect functioning. Tried S&B again - FTE reoccured at the same 2-4 rds per mag. Fired cases showed extractor claw marks - consistent with extractor pulling so hard it took a partial chunk out of the rim. Back to Federal AE - 100% perfect functioning again. 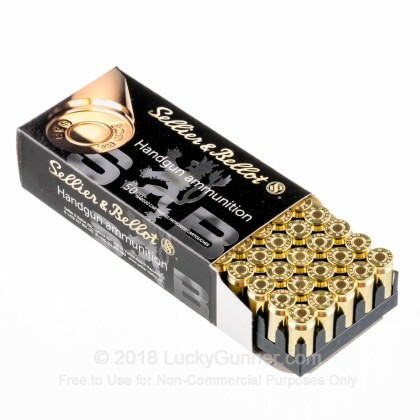 This S&B ammo would be great for malfunction drills, but fails too often for anything else. Excellent product. No misfires or jams. Excellent product. I fired two boxes of 50 in two different pistols and had no mixtures or jams in either one. went through a box of 50 without any misfires. No issues for being cheap ammo. Price was excellent, delivery was very fast. received numerous emails from lucky gunner about progress of the order. The product is very good, will buy fro Lucky Gunner again. 100 rounds fired thru new Bersa Thunder. One misfire and one jam. The other 98 fired and fed well. decent accuracy! 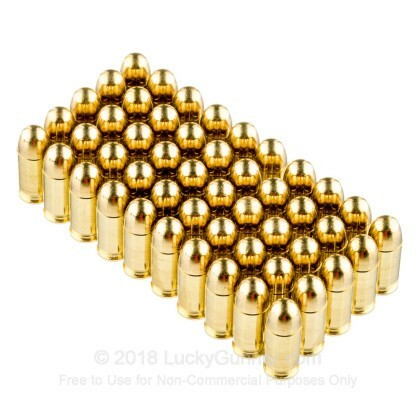 Great target ammo but not for defense. I have had no problems with this ammo at all. I will be ordering more as budget allows. Nothing wrong with this product. Compared to value, you can't find anything better. No misfires in my wifes Bersa, and was clean shooting. 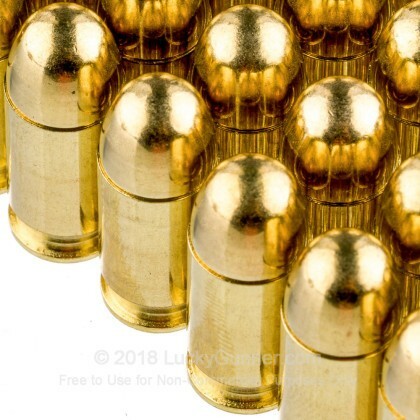 Ordered 100 rounds of this ammo as part of a break in for my new Ruger LCP to see what works. No jams, misfire or any problems with all 100 rounds. 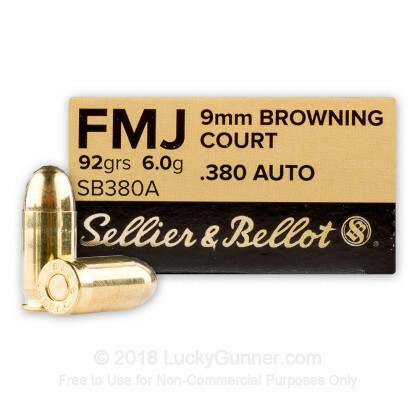 We also have this 380 Auto - 92 Grain FMJ - Sellier & Bellot - 1000 Rounds ammo in stock in a bigger quantity.